The Royal Canadian Legion encourages all members in the San Francisco Bay Area to attend this event. 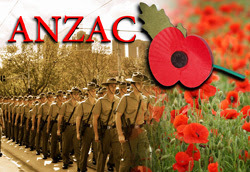 For those that are unaware, ANZAC Day is celebrated on the anniversary of the Battle of Gallipoli. While the main Allied combatants were from Australia and New Zealand, there was a British contingent there in the form of the Royal Newfoundland Regiment. This was some ~35 years before Newfoundland would join Canada. 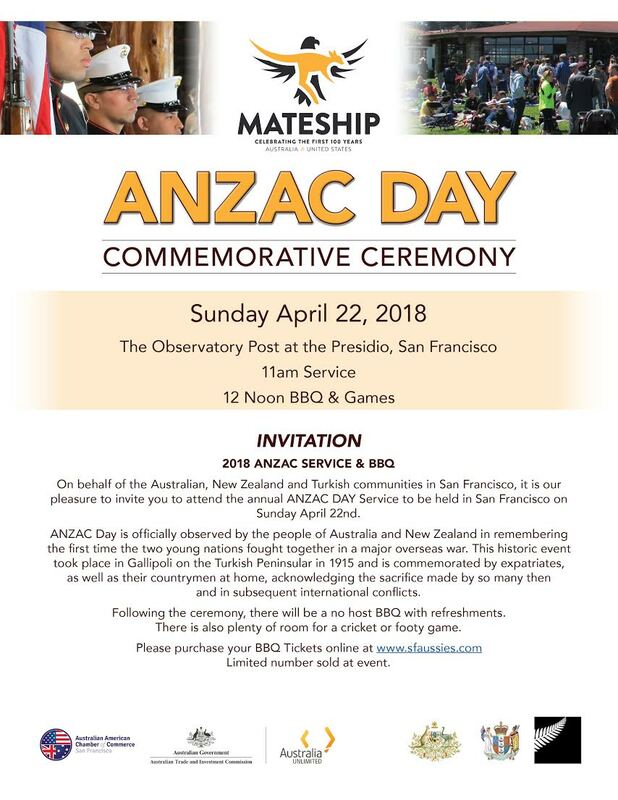 On behalf of the Australian and New Zealand communities in San Francisco, it is our honour to invite you to attend the annual ANZAC Day service to be held in San Francisco on Sunday 28 April 2019. This entry was posted in ANZAC Day and tagged ANZAC Day on March 18, 2019 by Michael K. Barbour. 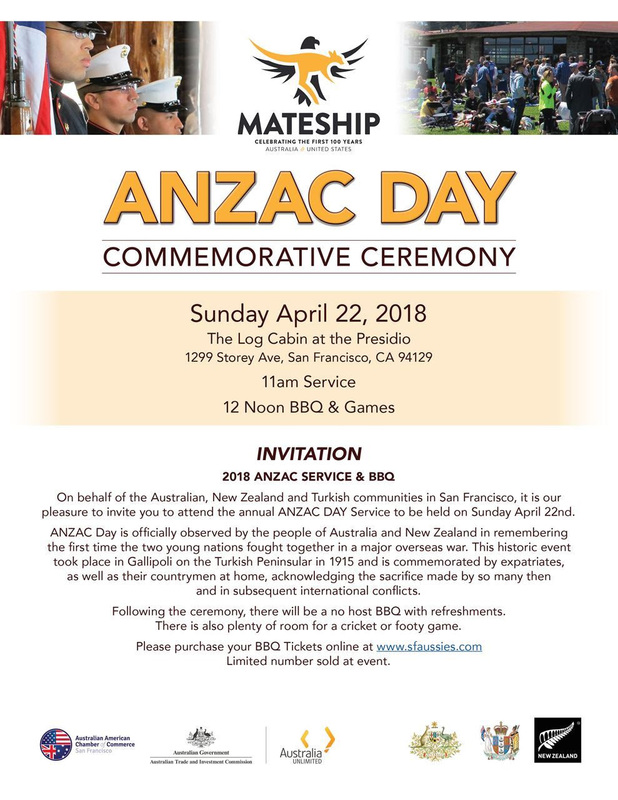 ANZAC Service & BBQ Invitation FINAL Opportunity to RSVP for the BBQ closing today! ANZAC Day remembers the campaign waged by the Australian-New Zealand Army Corps in Gallipoli against the Turkish forces during World War I. While not part of Canada at the time, one of often forgotten participants of this engagement were the Royal Newfoundland Regiment (see here and here). This year the Royal Canadian Legion will be participating in the services below, so please join us. Please note the location has been changed to the Log Cabin at the Presidio, San Francisco. This entry was posted in ANZAC Day and tagged ANZAC Day on April 4, 2018 by Michael K. Barbour. This entry was posted in ANZAC Day and tagged ANZAC Day on March 26, 2018 by Michael K. Barbour. This entry was posted in ANZAC Day and tagged ANZAC Day on March 7, 2018 by Michael K. Barbour.